Busisiwe Radebe was born in Majaneng and grew up in Hammanskraal, a small town in northern Gauteng. She is a daughter to a widowed mother and a sister to two younger brothers. She attended primary school at ST. Camillus Roman Catholic Primary where she started doing Public Speaking in Grade 6 and progressed to Prestige College from 2004 to 2008 for her high school career where she carried on with her Public speaking then joined the choir, Marimba band, Drama club, and Hockey until she Matriculated. After matric she joined Love Life as an Acting groundbreaker (facilitator) going to high schools facilitating Body Ys (Wise) and Motivation programmes from Love Life before enrolling for her Tertiary studies in 2011. She obtained a National Diploma in Drama and Production Studies at the Durban University of Technology in April 2014 where she specialized in Theatre dance, Scriptwriting, and Educational theatre. After graduation she worked with Nandagram Eco-Village in Durban as a booking agent and a performer for an eco-friendly educational production touring primary schools using marionettes made from recycled material and in 2015 she volunteered to do general admin at the Musho festival in Durban and was an administrative assistant at the HELLO Festival, an initiative from Tshwane University of Technology to mentor and give a performance platform to community based theatre arts groups in Tshwane. She is currently studying for a BA (Hons) in Applied Theatre: Education, Communities, and Social context under the Drama for Life programme and aspires to be an Applied Theatre practitioner to produce work that will encourage dialogue and healing for social development and transformation. Candice Byrd is a storyteller, theatre artist, and educator residing in Tahlequah, OK – the capitol of the Cherokee Nation — where she currently serves her community. She is a citizen of the Cherokee Nation, Osage Nation, and the Quapaw Tribe of Oklahoma. She graduated with her Bachelors of Science Degree in 2011 in Drama/Television/Film from Oral Roberts University and went on to attain her Master of Fine Arts Degree in Performing Arts in 2015 from Savannah College of Art and Design. 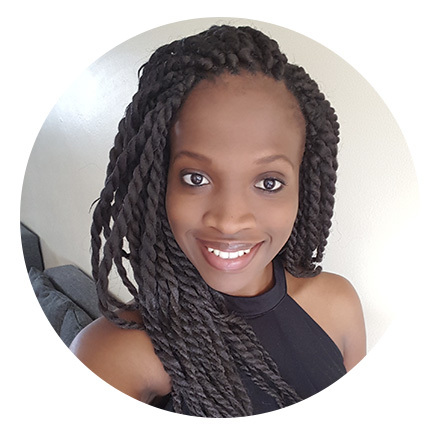 A graduate of CHIPAWO youth programme and Media Arts graduate a leader with experience in performing artist for children’s theatre, training and mentoring young children in performing and media arts development. 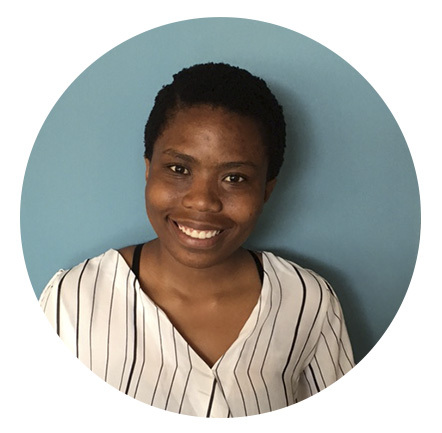 Currently a manager for CHIPAWO Trust, country Coordinator of CHIPAWO world for Zambia, Botswana and Namibia, a Girl Power club leader empowering girls in Zimbabwe using arts as a media to empower adolescent girls and young women. 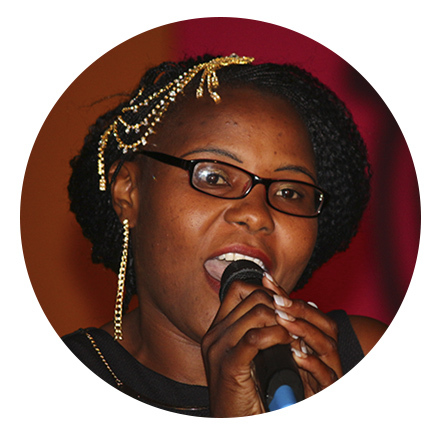 Chipo also develops projects to do with children’s rights and child counseling and continues to help children and young people in Zimbabwe.. She joined the organisation when she was 9 years and since 1993 she has performed on various platforms local and international festivals and events. She has grown to be a respected Arts and Culture sector leader making national, regional and international impact. Her work with children, youth and adults has involved both project management, script writing and directing, training of primary school teachers and local artist involved in the performing arts education as well as running of community performing arts festivals. Chipo is dedicated to the empowerment of gifted young people and the development of performing arts pedagogy as a key pillar for building rounded citizens in Zimbabwe. 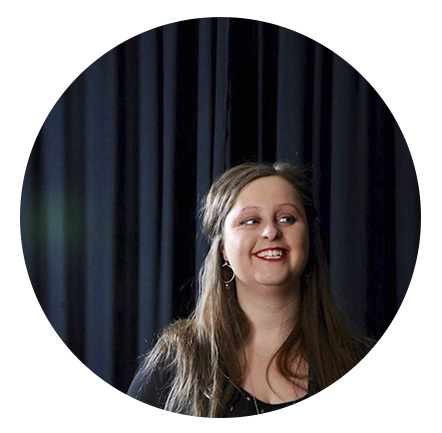 Dana Roy, has worked with theatre in schools for the past 15 years and is a core group member of ThinkArts, an organisation that brings imaginative experiences to children and young people through an engagement with the arts. She is also currently associated with Mahadevi Birla World Academy teaching drama and music. She is part of the Lai Roy directorial team that creates several major school musicals for well known Kolkata schools like the La Martiniere Schools for Girls and Boys, St James’s School, Akshar, Delhi Public School Newtown, among others. An actor, singer, physical performer, director, production person, who loves to make with her hands as much as she likes to perform, she has worked with many theatre companies, including Tin Can, The Red Curtain, Theatron, Theatrician and was a core group member of Ranan as well as part of its dance-theatre repertory for 6 years. While with Ranan she created and co-ordinated the Ranan SchoolConnect arts engagement programme. In 2015 she became a graduate of India’s first foundation course in Arts Management – SMART (Strategic Management in the Art of Theatre), an initiative by India Theatre Forum and run by Junoon and India Foundation for the Arts. Ebichi Promise Chinonyerem is an actor and producer, a graduate from the Department of Theatre Arts of the prestigious University of Abuja. He spent his mandatory National Youth Service (NYSC) in the Federal CapitaTerritory Abuja, Nigeria as a Corps member with the National Agency For Food And Drug Administration And Control (NAFDAC). His love and passion for his art has kept him active through the years; practicing and honing his skills in various capacities and on diverse levels. These include the platforms of veritable theatre organizations such as the Arojah Royal Theatre, Abuja, African Renaissance Theatre and Entertainment, Abuja among others. He one day hopes to take the Nigerian theatre to the next stage of its evolution. Erduyn Maza Morgado: Actor and theater director. Vice-president of the Cuban Center of ASSITEJ. Graduated from the Diploma in Theater for children (University of Arts, Havana). Graduated of the Course of Play Writing of the National Center or Performance Research, Havana (2006-2007). Studying now the Theater in the University of Arts. He is part of the casting of the Cuban Radio and Television. He is the director of the theater company Teatro La Proa. Received Caricato Award in 2011 for Best Male Acting. He taught workshops in Bolivia, México and Cuba. Was part of Team Cuba in April 2015 Festival (Denmark). He have been part of the Jury of contests of acting of children and Young people in Bolivia and Cuba. He is member of the Organizing Committee of La Bacanal de Títeres para Adultos, an international festival of puppets for adults that is celebrated in Havana every two years. Fumban Innot Phiri is an Actor and a Script Writer at Solomonic Peacocks Theatre and currently being trained as a theatre director under Solomonic peacocks’ theatre class and studying Journalism at the University of Malawi- The Polytechnic. 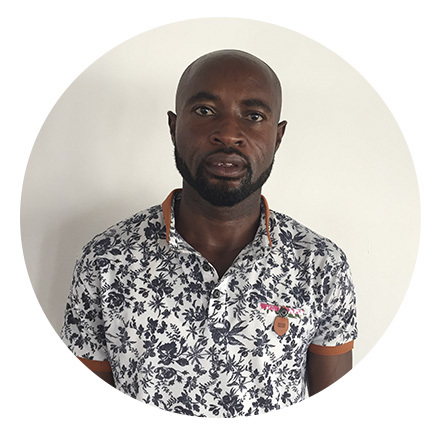 Off stage Innot has worked widely in theatre super vision and is the Festival Coordinator of National School Youth Arts Festival and a Part Time director of theatre in several high/secondary schools. Fumban is also a poet and has compose about 15 poems, His motivation is to help install the creative arts in Malawi as tool of development. On the stage Innot has worked as both actor, playwright and director. He has performed about 10 majors’ plays and write approximately 30 productions to date. 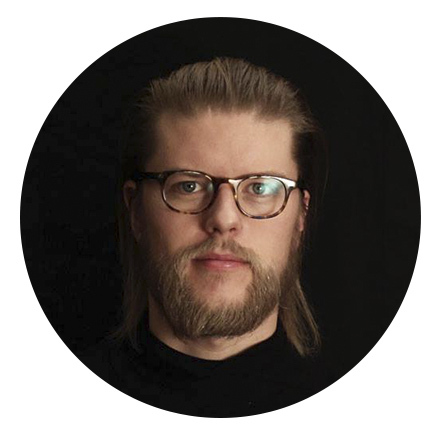 He also has experience in Short Film such as Letters from the Future and Final Remedy and other film documentaries. His favorite moment at SPT has been the Blantyre Arts Festival of 2015 on which He was featured as the main Actor in a stage play titled the Marauding Beast. Currently working on Theatre for Education project by devising O-leve. English literature books including Romeo and Juliet by William Shakespeare into theatre pieces for easy understanding by the learners. 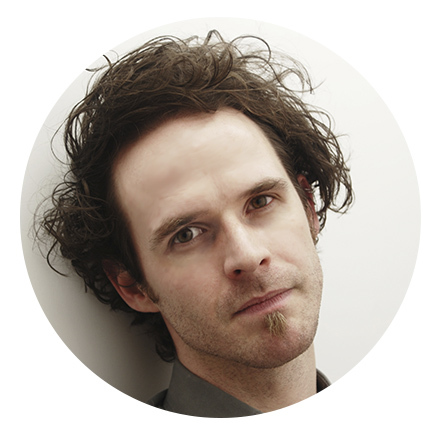 Jon grew up in South Wales, and trained as a initially as a musician. 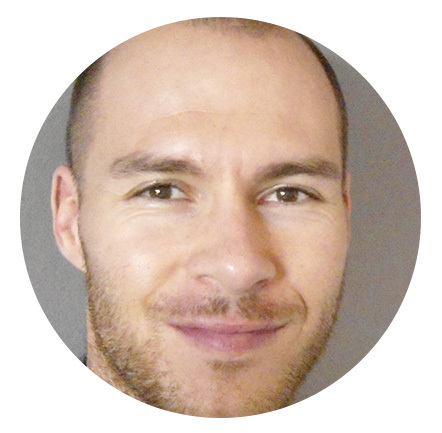 He has worked with Performance Organisations who are considered Welsh leaders in their fields, including The National Youth Theatre of Wales, and Royal Welsh College of Music & Drama: Young Actors Studio. His work with Hijinx Theatre focuses on creating opportunities for people of all ages both with and without learning disabilities, and includes current project Able to Act: Africa, a cross-cultural project between Wales and Lesotho. As well as working freelance, Jon founded the arts organisation COMMUSICATION, and in Spring 2015, exploratory performance group Nid Fy Mwnciod I/Not My Monkeys , who work collaboratively to create cross platform work. Most recently, Jon has joined the team of practitioners working as part of Arts Council Wales education initiative Lead Creative Schools. This programme links schools with practitioners to develop an innovative and bespoke approach of learning designed to improve the quality of teaching and learning within schools. Philisiwe Twijnstra is a award nominated South African actress, musician, emerging stage director and playwright. She resides in Durban. 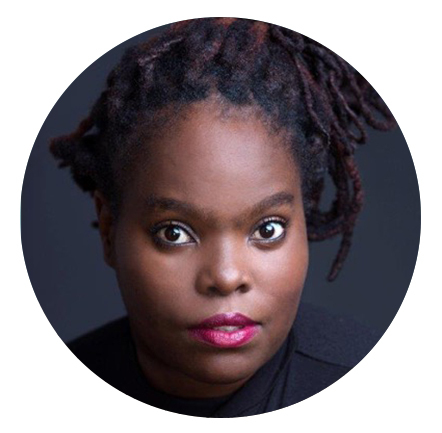 She was selected as one of the female directors for a Womens’ Theatre Festival in Johannesburg (2016) to stage her first award winning play by a Dutch writer, Theo Fransz Matty &Sis , which was also selected for Uhuru International arts Festival in Durban and Musho Theatre Festival. She was part of the novel script project (2015) after which she wrote “Salty Pillows” which is in the finalist for Pansa Playwright Festival (2017). 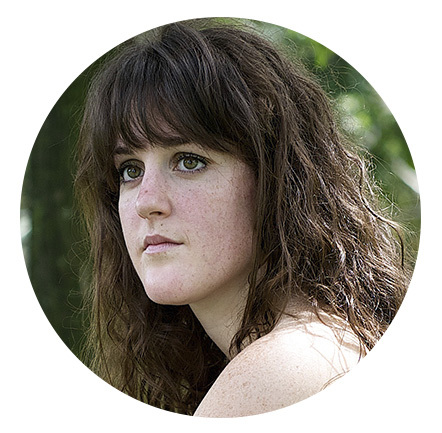 Ms Twijnstra is shortlisted for Short Sharp Stories (2017) for her short Story ‘Little black Sandals’ Currently she is writing her new play ’The wings of the Serpent’ and producing her recent South African script ‘The Red Suitcase’ and writing her first novel ‘Just a girl’ under the mentorship of Kobus Moolman. As a Vocalist under the pseudonym name ZuluBlue, she did a Miriam Makeba tribute concert with a well-respected international guitarist Madala Kunene and Patti Nokwe. 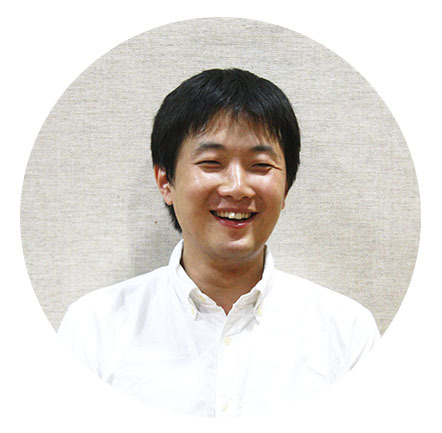 Kim Junho is a playwright and director in South Korea, focusing especially on theatre for children and young people. He is currently majoring in Drama/Theatre for the Young (M.F.A) at The Korea National University of Arts. In 2014, he began his career as a playwright by winning the <Convenience Store> in the playwriting contest of theatre for teenagers, held at the National Theatre Company of Korea. Also, in 2015, he collaborated with European young playwrights on the subject of teenagers at the European Studio, a Playwriting Workshop at the National Center for Stage-Writing (La Chartreuse) in Avignon, France. In this way, he has been trying to actively participate not only in Korea, but also in international collaboration. As a director, he directed <Eundan of Bang-ul> and <Cinema sunjung>. Currently, he is working on adapting Shakespeare’s <Othello> for theatre for teenagers. 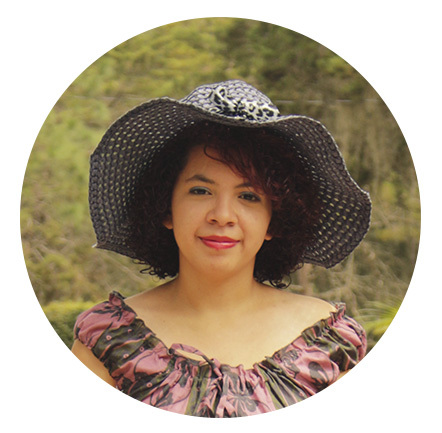 Laura Yanes was born in 1995, in a neighborhood in the center of the Honduran capital, she studied her elementary education in a beautiful green school with flowers of Napoleon in her gardens. One day he met a mime, who took her hand and helped him cross the street, that’s when I started his interest in art. At the age of fifteen she began studying the professional course at the National School of Dramatic Art in Honduras (ENAD), after three years she graduated with the title of Promoter in Dramatic Art in 2014. Upon graduation, she became a teacher of theater classes for children for two years at ENAD. She is a member of the Colectivo de Teatro Infantil y Juvenil de Honduras (COTIJH). She is currently a professor at the ENAD, teaching the Scenic Assembly classes I, Research Workshop and History of the Honduran Theater. It was selected to receive the Stage Management Workshop for young directors dictated by the maestro Tito Ochoa director of the Theater Memories. 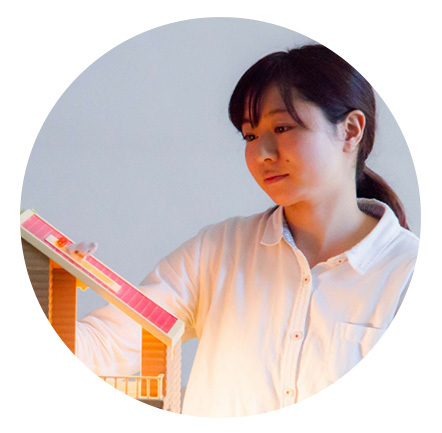 She is currently in the process of creating a show with the Kamishibai technique and the Toy Theater. Actress and theatre teacher graduated from University Finis Terrae in Chile. She has studies of performing arts in Buenos Aires, Berlin and Paris and currently cursing a Masters in Cultural Management in Chile. She has worked as performing technics teacher and acted in 15 plays since 2003, getting awards as best actress in kids plays category on 2005 and best actress of dance theater on 2007. On 2011 Layla creates and directs Compania Aranwa, a theatre company which currently has 4 plays, pioneering young kids theatre in Chile. In addition to performing in different theaters, festival, schools, preschools, and nurseries in Santiago, other regions of the Chile, and abroad, Layla have given talks and workshops. She is also part of the directory of Teveo/Assitej Chile an association for performing arts for children and young. Aranwa is one of the pioneers of early-childhood theatre in Chile. They have three plays “In a Bathing Suit ” 2011, “Floresta” 2013, “Melodías en el aire” 2015 and a sensory space for early childhood “Hogar Silvestre” 2015. At this moment they are in the creation of a new work “Danzas Aladas”. With the work “In a Bathing Suit ” they have traveled to Colombia and Dominican Republic to promote this theatrical genre that was not known there. Linda Nabasa, is a Performing artist: poet, short story writer, Actor and playwright. She is also a creative consultant and writer of human right stories for children in Uganda. Initiative by European Union in Uganda. 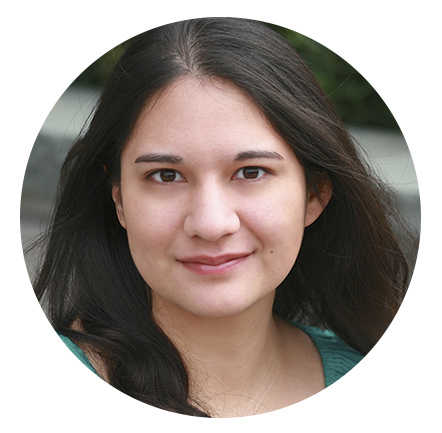 She is passionate about writing from page to stage to give women and children a holistic voice in theatre. 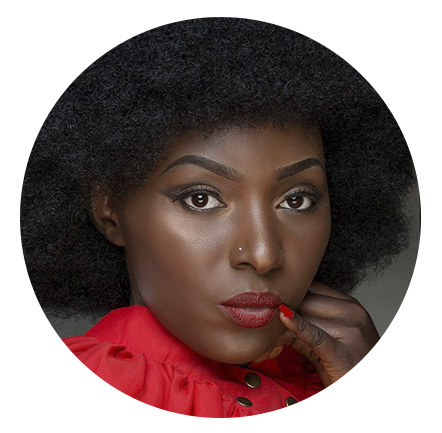 She is co- director of started Afroman Spice, a theatre company in Kampala that uses theatre to enlighten on women’s position and issues in society. My name is Lungile Mncube (24yrs old). I am an emerging artist, who is also doing her MA at UKZN. For the past 4 years I’ve been creating and developing work for theatre, classroom and communities in South Africa, mostly in Pietermaritzburg and Paulpietersburg, KZN. I’ve been highly influenced by applied theatre whereby I would practice different methods of theatre with distinguished groups but mostly with children. I strongly believe in theatre for young audiences, I have taught drama and taught through drama. The experience I’ve had made me realize the potential that each and every child has and that children are born of play, the question I got was, why then do we forbid children to PLAY?! Apart from the passion I have for theatre for young audiences, I am also a performer, a scriptwriter and a director. -Seeing society through child’s view. -Creating work inspired by human’s unconsciousness and sense’s. She inquires the theme through many different activities, and presents how society could be. Akunbu Louis Jones is 31 years old , he went to St Pauls Bilingual Comprehensive college Nkwen and Cameroon College Of Arts, Science and Technology, Bambili. He studied theatre Arts and did courses in Mass Communication in WWimfa Martin Luther Institute, Bamenda, Cameroon. He is Co. founder and Executive Director of La Liberte Arts Group. Akunbu believes in the power of arts in transforming Society. He has been the Director of La Liberte Arts Group for 5 years now. 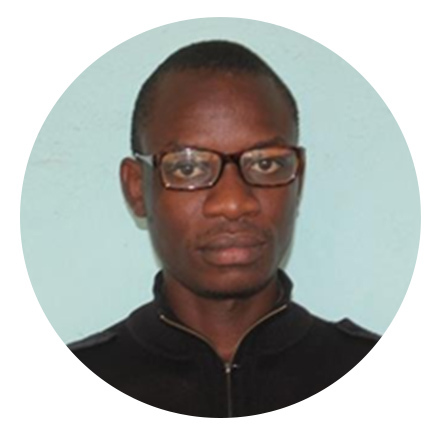 He is the co initiator of ACT FOR CHANGE with Oxford University Drama Society, that saw the pilot phase in Cameroon in 2013 and it has been to India too. The Creator and Producer of Black Swagger Poetry Slam in Cameroon, Which is in its second year now. He has written many radio plays for development purposes, written and Directed three short advocacy Films including Juvenile Justice exploring why putting juveniles in the same cell or prison destroys them. Akunbu is also an award winning poet. My current occupation is International Projects Manager in Russian State Institute of Performing Arts in St. Petersburg. I’m an Independent Producer as well. I execute projects in such fields as Music, Circus and Theatre. I’ve already organized creating many shows for children, teenagers and adults and their tours to Russia, Europe and Asia, for such companies as circus-theatre Montgolfieri, New Imperial Theatre, Melting Point Theatre Company, as well as laboratories for theatre directors as part of The National Prize and the Festival for Theatre Arts for children Harlequin. My last work in field of the Theatre for Young is a production Livia, 13 by Christine Rinderknecht (director: Mikhail Patlasov) in collaboration with Goethe-Institute and the New stage of Alexandrinsky theatre. This production was showed in North-West Region of Russia in a theatre venues and as a “class drama” at schools. I’m really interested in Folklore, because I’ve been taking part in expeditions for collecting Folklore of North Russia since childhood. Up to 2012 I was folk dancer in ensemble Kudesy. Russian and German theatre and dramatic art are of my special interest. Born in 1985. Grew up in Morissen (Grisons, Switzerland). From 2012 to 2015 studied acting at Comart (professional theater/physical theatre school) in Zurich. In 2016 received a Culture promotion award from Canton Grisons. In 2008 studied at the Pedagogical University in Chur (Grisons). In 2005 Studied at the Commercial school in Ilanz (Grisons). Two years working as a secondary school teacher, one year as a primary school teacher. Marina Blumenthal is an actress and pedagogue (children and adults). Since January 2016 theatre lecturer at the professional theatre school Comart: http://comart.org. Since September 2016 theatre course-leader for children and teenagers at the Young Theatre Grisons (Swiss theatre award 2016): http://jungestheater.gr. 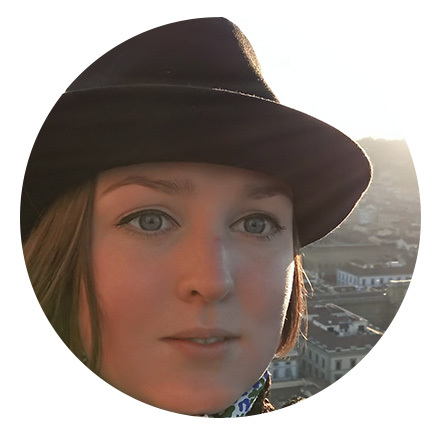 She works as a freelancer in different fields: lecturer for several theatre workshops for children, young people and adults; actress; director; assistant director; radio actress; children’s choir co-leader; and Rhaeto-Romance language teacher. Actress in the duo Schwarzgold (Black Gold) with Kim Emanuel Stadelmann: 2016 Swiss Tour with CANCELLED (music-theatre Duo Schwarzgold). 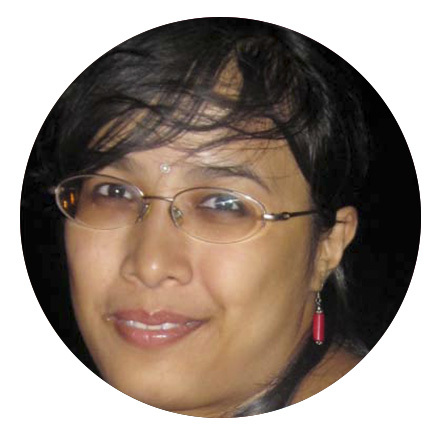 Company member and actress BAGAT: Rhaeto-Romance theatre for children and young people. Course instructor for BEST: theatre festival for schools at the City theatre Chur (Grisons). Numerous other projects and engagements. 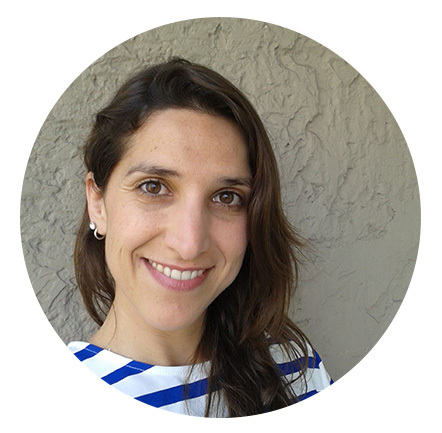 Marina lives in Zürich and works throughout Switzerland. Martin Adjei Legend is a thirty-two years old man. He lives alone in Accra, the capital of Ghana. He is not married and has no child. He works under the Osu Children’s Library Fund as a theatre director of the Kathy Knowles Theatre Company- a post he has held since 2006. Martin Adjei Legend organizes theatre festival for eight libraries under the Osu Children’s Library Fund, bringing about 300 hundred children and young adults together to stage variety of performances, including poetry recital, cultural display, singing, drama, and different form of dances. This happens in August every year. Martin Adjei Legend has written over thirty plays and has produced over hundred plays in his career. 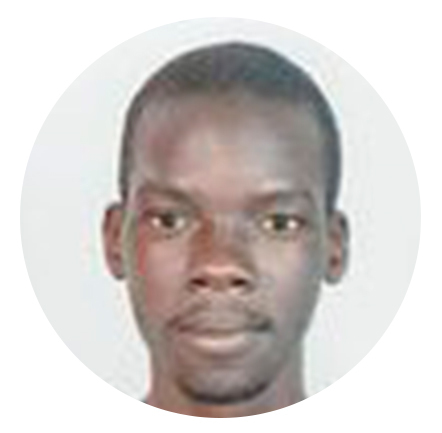 He is a learner and an ambitious young man looking to improve in every aspect of his life. Musa Hlatshwayo was born and raised in Maphumulo and currently stays in Durban (KZN). 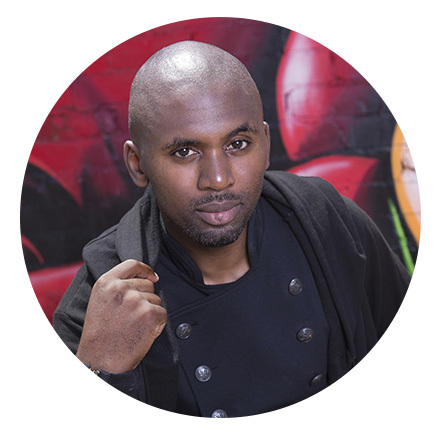 He is a performing artist, choreographer and director under his own company; Mhayise Productions. He holds a BA Hons in Performance Studies: University of KZN. His recent achievements include an honorary Award ‘The Eric Shabala Dance Champion Award’ by the CCA and Jomba in recognition of his controbutiont to the developmet of dance in KZN, touring ‘Yin’iRespect? !’ to more than 27 000 scholars in rural and township schools, choreographing the opening of the 10th CAADP, choreographing the opening parade of the FIFA 2010 world cup, extensive tours in Africa, the Indian Ocean’s Islands, the UK, Europe and America, being named KZN Dancelink’s Choreographer of the Year for 2009 to 2012, the Phillip Stein Choreographer’s Award for 2006, a nomination for the NFEST’s Standard Bank’s Young Choreographer for 2005/6, 2005’s Durban Dance Awards’ Choreography of the Year nomination for ‘Umthombi’, KZN DanceLink’s Durban Dance Awards’ Best Dancer for 2005-2006, the Gauteng MEC Awards Nomination for Best Contemporary Choreography for 2007 for ‘Umthombi’ and KZN Dancelink’s Best Costume Design for Amens!. Musa’s Mhayise Productionbs runs an open programme called The Movement Laboratory where he offeres dance training for free. He also mentors a number of community theatre groups in KZN and internationally. Nelago Shilongoh is a theatre maker with an Afrocentric approach to her work. Shilongoh has performed in musicals such as Sepiso Mwange’s “39 Steps” at the Space Theatre, and later in the “Meme Mia” musical at the National Theatre of Namibia (NTN), directed by Sandy Rudd in 2013. Through the Namibian Theatre Initiative (NTi), Shilongoh has performed in the 2014 Namibian Film & Theatre Award (NFTA) winning “The Lesson” & the “Complete Works of Shakespeare”, all directed by Rudd. The performer has also starred in John Kani’s “Nothing But The Truth”, directed by David Ndjavera and staged at the NTN in 2016. Shilongoh went on to debut herself as a playwright and director in her 2012 Theatre Zone production “Broken Butterflies”- nominated in the 2012 NFTA for the category of Best Female Role. She’s directed Amiri Baraka’s “Dutchman”, staged at the Space Theatre in 2016. Nelago further holds the award for Best Female Actor in Theatre, for her role in “The Lesson” in the 2014 NFTA. In October 2015, Nelago premiered her One-Woman play “Kuku”. The production also travelled to the 2016 International Women’s Theatre Festival in Johannesburg, upon invitation by Olive Tree Theatre Productions. 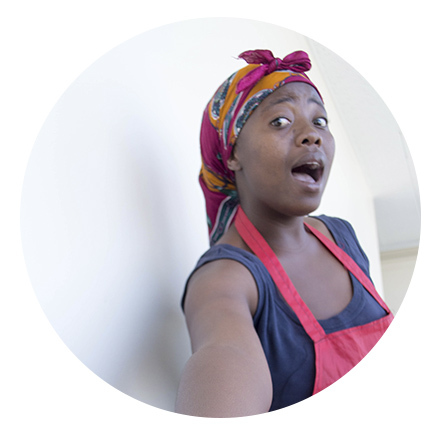 Penelope Youngleson is a theatre maker, designer, writer and educator working in Cape Town. She has won several awards with Philip Rademeyer and their company, Rust Co-Operative, and in her own capacity, including: the Best International Production at the Dublin Festival, Runner Up for Best International production at Amsterdam Fringe, panel selection at Afrovibes Festival in the Netherlands, two Standard Bank Ovation awards, 3 Silver Standard Bank Ovation awards, a Gold Standard Bank Ovation award – and a Fleur du Cap award for Best New Director. 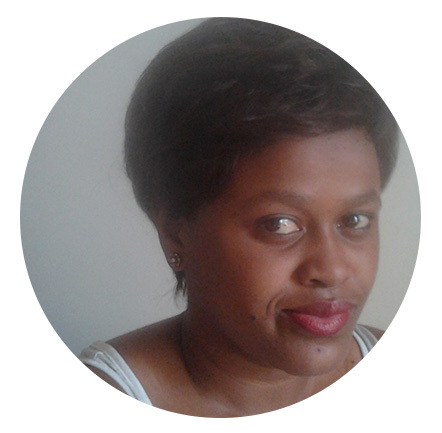 Her particular interest is South Africa-specific stories and has written 9 scripts in the last 4 years – all original works, all about and for and in praise of people from this country. She is a Bertha Fellow at the UCT Graduate School of Business, pursuing an MPhil in Social Innovation, where she is researching the impact of play and play-making with at-risk, school-attending youth (particularly those who identify as girls, non-binary gender identity and queer) and ways to upskill and embolden through theatre to create active, compassionate citizens in our schools. She was also named amongst the Mail and Guardian Top 200 Young People of 2016. Richard Antrobus completed his BA (Hons) Drama in 2004 and MA Drama (Rhodes University) in 2010. He also holds a Diploma from the London School of Physical Theatre (2007) and has worked as a resident performer for First Physical Theatre Company and performed with SlungLow Theatre Co. (U.K.). Richard was the recipient of a Standard Bank Ovation “Encore” Award 2011, a GIPCA fellowship (U.C.T) in 2012, featured in Mail & Guardian’s ‘Top 200 Young South Africans 2013’, selected for the Cirque du Soleil performer database (2014) and was part Assitej’s Inspiring A Generation 2015 programme. In 2010 he founded the Phezulu Project as a community-theatre development initiative. 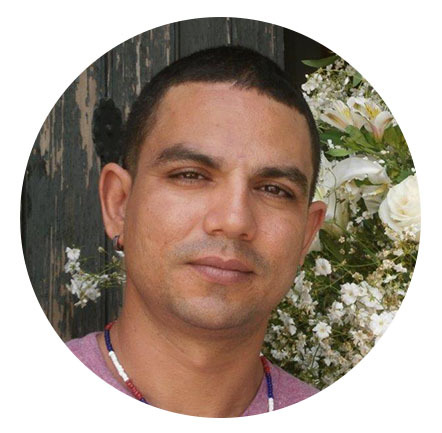 Richard has collaborated with Magnet Theatre, Assitej, Clowns Without Borders, and ComNet, but currently works as an independent performer and educator (OddBody Theatre) and lectures part-time at Waterfront Theatre College and UCT. 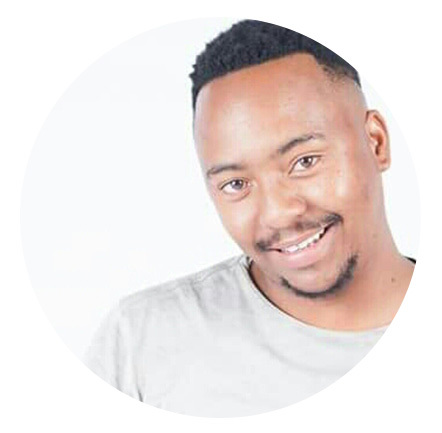 He has written, performed and produced a number of plays including: “Stilted”, “Tshini Kwedini”, “Delayed Live(d)”, “Being Norm” and “Suggestion Box”. 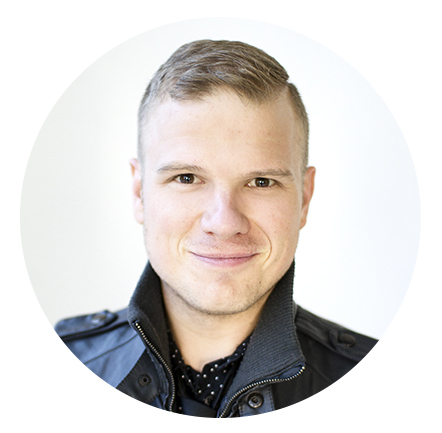 Richard has been slowly making a switch from performer to director – directing Jungle Theatre’s “The Whale Show” and “Butterfly Dreams”, Ryan Napeirs’ “Death of a Clown” and his own production, “The Cloud-Catcher”, which debuted under the Assitej umbrella last year. I am a 27 year old, who hails from a small town in the Eastern Cape called Mthatha, and I have fallen in love with the ever so vibrant Durban. I am a UCKAR (University Currently Known As Rhodes) and UKZN (University of KwaZulu Natal) alumni, where I completed my Bachelor of Arts and Honours degrees, majoring in Drama and Performance studies. I am now completing my masters degree at UKZN. I am a performer, a writer, an academic and a performing arts/or live performance lecturer. I am as passionate about the arts as I am about arts and social activism. It is my work as an arts educator that drew me towards working more on community based arts programmes for children living in Children’s Homes. Thapelo Mohapi Oora Motsikoe is a graduate of the Market theatre laboratory. This year marks exactly a decade since he began his artistic journey. Throughout this time he has been involved in a number of theatrical productions as an actor, writer and director. These productions include ‘The Blacks by Jean Gene directed by Professor Stephnie Brink commissioned by Pacofs ( Performing Arts Centre Of the Free State)‘ We shall sing for the Fatherland by Zakes Mda directed by Itumeleng Motsikoe and later Co-directed with Thapelo for Macufe (mangaung cultural festival). 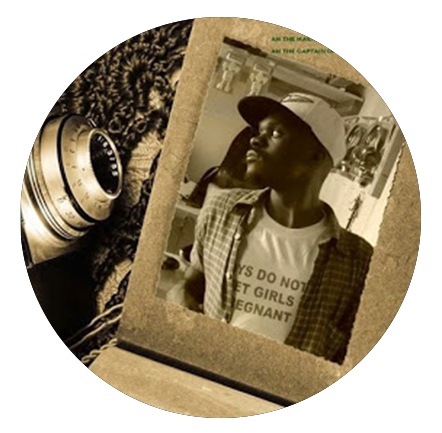 Thapelo has earned himself lead roles in the following productions ; ‘ My children My Africa by Athol Fugard as Thami Mbekwane ,directed by Angelo Mockie , Sophiatown by Junction Avenue Company as Jakes Mamabolo directed by Masedi Manenye, both these productions were commissioned by Pacofs. In 2015 Mohapi Oora Motsikoe found himself on the main stage of the National Arts Festival where he continued his lead actor trend in the production ‘Masotes dream’ written and directed by Dagamar Slagmolen and music arranged by Kutlwano Masote ; a production that scooped two Naledi Awards nominations, namely best cutting edge production and best musical score. Thapelo was also part of Free State theatre which devised a production ‘THE PLOT’ which scooped Bronze standing Ovation award NAF. He also wrote and director Daily skinner for the company and Priemiered at Wushwini arts Centre in Durban. 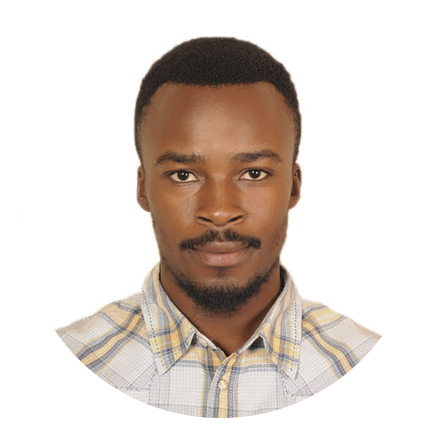 For the past two years, Mohapi Oora Motsikoe has been working with Assitej SA as an Artist facilitator for Kick-starter creative arts schools project where he facilitated creative arts to intermediate phase learners in for schools around Lejweleputswa district in Free State. Thembela Madliki is a Master of Arts student at Rhodes University. She is studying drama and specialising in directing. 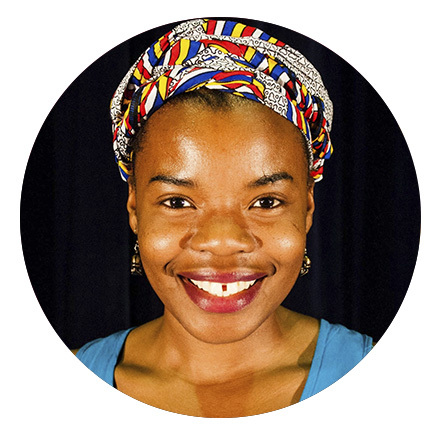 She has worked as a theatre-making workshop facilitator for the Eastern Cape School’s festival (2016), Shakespeare Schools Festival (2015-2016) and Grahamstown’s Makana Drama Development Festival (2015). She has directed numerous productions during her university career, including the National Arts Festival (2016) award-winning student festival production ‘Nyanga’ which also won her the award for Most Promising student director. Madliki is currently working on her final Masters’ production which will be performed at the 2017 National Arts Festival.